Sunny & warm summer weekends will soon be transitioning into cooler fall days. So if you’re looking for ways to maximize your summer of fun, head up to the mountain for a great weekend of live music. Stay at a Mt Hood Vacation Rental home during Festival Weekend, and we’ll give you a little something extra… (read on to find out what!). On Sept 10 & 11 from noon to 6 PM, bring your groove and your dancing shoes to the Mt Hood Festival of the Forest at Wildwood Park in Welches. 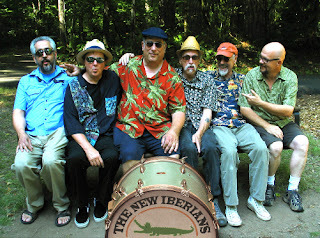 The first annual Cajun & Zydeco Sunday Sashay of the festival will feature live music by the New Iberians, Too Loose Cajun Band and Atomic Gumbo all day on the Wildwood Stage. Other attractions include the Garcia Birthday Band, the Bob Voll Band, belly dancers, and crafts booths. When you’re not dancing among the trees, take a leisurely stroll on one of the 600 acre park’s trails, relax in the beer garden, sample a treat from one of the food vendors or take a nap by the Salmon River. When you stay in a Mt Hood Vacation Rental during Festival Weekend, we’ll give you a free admission pass to attend the Mt Hood Festival of the Forest!